Second part. Under the Banner of Marxism, p. 131-151, no. 4, 1927 Also see concluding third article. The first part, titled 'On the theory of the development of the world market and world economy', appeared in issue no. 1 of 1927, but is not available (at least for now). 1 The law of value in national and world economy. The main thesis of classical theory reads as follows: if participants of international commerce are countries situated on different stages of development of productive forces (in the classics the matter, properly, is only about different natural conditions), then exchange will inevitably take the form of inequality: a greater amount of labor of the less productive country is exchanged for a smaller amount of labor of the more productive country. The proportions of the exchange are determined not by cost of production, but by an equation of reciprocal demand. In other words, exchange happens not on equivalent principles and is not determined by the laws of value. The viewpoint of the classics enjoys very large distribution also in contemporary Marxist literature, in particular under the formula of inequivalent exchange now customarily is taken almost every exchange of unequal amounts of labor. The classical theory in part was supported, as we later shall see, also by Marx. Far from intending to deny the real facts of nonequivalent exchange between countries, - these facts are so glaring that to negate them would be ridiculous, - we believe, however, that here a mixing of concepts occurs. 1) That which is customarily regarded as inequivalent exchange, in fact is normal exchange of equivalents, and does not violate the laws of value; 2) actually inequivalent exchange derives not from those circumstances which usually are taken as the causes of such exchange, not from differences in the productivity level of various countries, but from specific conditions of the modern epoch, connected, mainly, with migration of capital and labor forces. There are three causes why workers in the course of identical time intervals create different amounts of products, and under known conditions different value. The first reason is a different organic composition of the "capital." (We take this concept in a "material" sense, as aggregate of means of production and labor force). The second - is a different productivity of the labor due to natural and technical instances. The third - is a different intensity of the labor. It goes without saying that we consider all these factors to operate provisionally within one and the same branch of the economy, because only within this bound can one compare the results of labor by direct calculation of the amount of produced commodities. Under heterogeneous production [i.e. production of different kinds of products] such calculation is not possible, consequently, it is impossible also to directly compare productivity. In addition, with the transition from homogeneous to heterogeneous branches in part also the meaning is modified of the laws arising from the operation of named reasons. Let's start with the first cause. In what sense does a different organic composition of capital affect the results of the labor process? Different composition, as is known, means, that equal-sized capitals are divided with varying proportions into constant and variable capital. Each worker in an enterprise, besides creating new value, transfers onto the product value equal to the consumed part of constant capital. It's obvious, that this transferred value will be greater the higher the organic composition of capital is. The higher this transferred value, in the larger amount of finished products it should be expressed - other conditions being equal. Consequently, one and the same worker, under the same expenditure of force, creating in an unit of time equal new value, transfers to the finished product an unequal value of constant capital, in accordance with the specific mass of the latter in different enterprises. And since in the manufactured product the part, corresponding to the newly created value, externally does not differ from the other part, representing the transferred value of constant capital, then overall it turns out that the result of equal labor of workers in equal labor time is expressed by a different amount of products and in a different value of these products. Passing into the field of ​​international economic relations, the law gets the following expression: "An English and an Indian spinner, e.g., may work the same number of hours with the same intensity; then they will both in a week create equal values. But in spite of this equality, an immense difference will obtain between the value of the week’s product of the Englishman, who works with a mighty automaton, and that of the Indian, who has but a spinning-wheel. In the same time the Englishman spins several hundreds of pounds more. But also a sum of old values, many hundred times as great, swells the value of his product, in which those re-appear in a new, useful form, and can thus function anew as capital.3"
This law is valid not only within an homogeneous branch of production, but also in the scale of the entire national economy. Constant capital, applied in production, is the result of past labor, which, however, is able to realize its value only through the accession to it of new labor. The more significant in a given country the accumulation of past labor is, the greater the value and the greater the mass of products national labor produces, even remaining unchanged in its absolute magnitude. True, the part of annual production which corresponds to the transferred part of constant capital, must go back again to its restoration, so that the total sum of value produced by annual labor is increased compared to value already found at the nation's disposal, only by the in the course of the year newly created value, proportional to the labor expended. But, firstly, constant capital can be reproduced in more productive form, though it is also past value (better machines, etc.). Previous value, past accumulated labor will represent itself a more significant productive force. Secondly, even with provided reproduction of constant capital in past natural form and past productivity, it nevertheless will come out so, that the English spinner will again reproduce his "mighty automaton," and the Indian spinner - his "manual spinning-wheel:" the inequality of England and India is reproduced continuously, just as the continuous reproduction of the class relation between capitalist and wage worker. Thirdly, it can easily happen that on reproduction of old constant capital now less labor is expended due to increased productivity, and with the value (or, rather, with the price) of the produced product will be realized - under favorable conditions of competition on the world market - a magnitude, corresponding to the old, higher value of constant capital. As the whole of industrial history shows, such opportunities are more likely to be had by the owner of the "mighty automaton," than the owner of the "spinning-wheel," for whom it is not always possible even to restore his old spinning wheel with the product's price. Higher value and greater number of products, created in equal units of time, most frequently go hand in hand with lower prices of these products, especially in industry. "In the case of factory-made commodities, it is known that 1 million workers in England produce not only a much greater product but also a product of much greater value than in Russia for example, although the individual [/unit] commodity is much cheaper. In the case of agriculture, however, the same relation between capitalistically developed and relatively undeveloped nations does not appear to exist. The product of the more backward nation is cheaper than that of the capitalistically developed nation, in terms of its money price. And yet the product of the developed nation appears to be produced by much less (annual) labour than that of the backward one. In England, for example, less than one-third of the workers are employed in agriculture, while in Russia it is four-fifths. 4 (Marx further stipulates that these numbers need to be amended by adding to the agricultural workers the part of industrial workers who manufacture instruments of agriculture, but nevertheless the difference remains I.D.). The reason for the different rapport of industrial and agricultural prices is due partly to the influence of natural factors, stronger in agriculture, partly to the particular economic system of agriculture in backward countries. Thus, the conditions of reproduction of constant capital due to a difference in organic composition of capital are extremely important, characterizing the economic interrelation between countries, although they do not entail itself any declination from the general law of value and have influence likewise in the internal economy (e.g., in the rapport of price for industrial and agricultural products). "If this portion (of constant capital. I.D.) grows, not only does the annual mass of products grow, but also their value, even if the annual labour remains the same. This growth is one form of the accumulation of capital, which it is essential to understand.5" It is not less important in connection with this remind as well about the role of fixed capital, which grows both relatively and absolutely together with the growth of constant capital, as part of the latter. 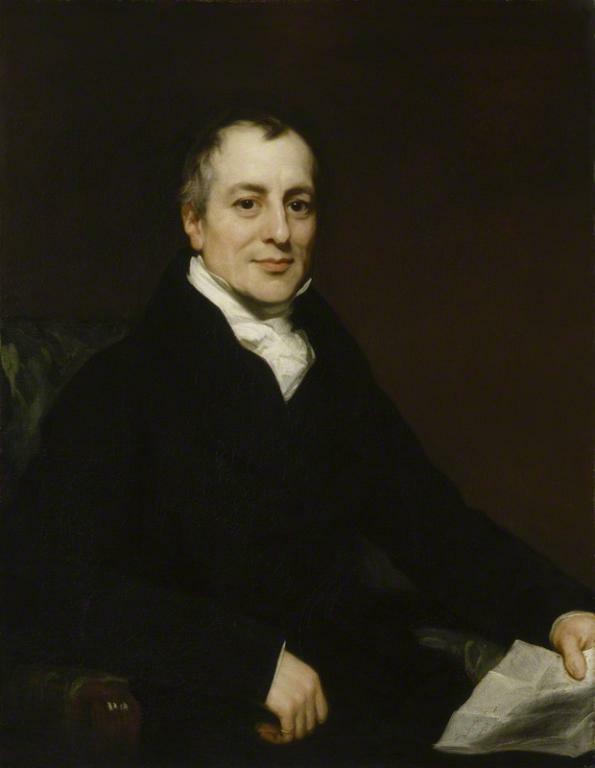 "Hence where much constant capital, and therefore also much fixed capital, is employed, that part of the value of the product which replaces the wear and tear of the fixed capital, provides an accumulation fund, which can be invested by the person controlling it, as new fixed capital (or also circulating capital), without any deduction whatsoever having to be made from the surplus-value for this part of the accumulation. This accumulation fund does not exist at levels of production and in nations where there is not much fixed capital. This is an important point. It is a fund for the continuous introduction of improvements, expansions, etc.fn]Ibid., p. 156." This happens, as is known, because in reality it seldom occurs that annual restoration is exactly similar to the part of fixed capital which is worn out, that "in part the wear and tear merely exists nominally, and in reality it only has to be replaced in kind after a certain number of years. [Theories]" Depreciation funds are, thus, temporarily free to be used to expand production. The significance of the depreciation fund specially in the field of international relations, Marx also emphasizes in one of the letters to Engels. "Now, what becomes of this fund, which yearly replaces 1/12 of the machinery? Is it not, in fact, an accumulation fund to extend reproduction aside from any conversion of revenue into capital? Does not the existence of this fund partly account for the very different rate at which capital accumulates in nations with advanced capitalist production and hence a great deal of fixed capital, and those where this is not the case?6"
The second reason of unequal "labor-exchange," is a difference in the very character of labor that creates value. Countries and nations differ among themselves in the qualities of their typical average labor: qualification, skill, agility, endurance, exertion, etc. All these properties can conditionally be combined under the common name of intensity of national labor (which is not identical in this case with the concept of exertion (напряжения) of labor). The difference of labor in its intensity creates in equal intervals of time unequal value. This is in the same degree relates to various nations, as to various individuals of one and the same nation. An hour of labor of a country which possesses higher quality labor, will exchange in the world market for 2, 3 and more hours of labor of other countries, characterized by lesser intensity of labor. In other words: commodities, produced by different countries, will have in the world one price, but as the first country produces twice as much per hour, then it also gains a correspondingly large sum of money. In essence here there is not any inequality in the exchange: if provisionally an inventory is made of more intensive labor at units of less intensive labor, then it also will form more labor time: an equal measure, attached to unequal magnitudes, gives unequal results. Despite the complete conformity of the conditions of exchange with the law of value, such exchange still forms an economic base, allowing the more developed country to consolidate for itself and even systematically strengthen its dominant position, "perpetuating" the benefits of its labor. The higher value, realized on the world market in the form of a bigger amount of material goods, allows this country to spend more means on the qualification of the younger generations of workers, than a backward country is able to do. Here is repeated the same pattern that we have already noted, analyzing the conditions of reproduction of fixed capital. Similar to how as a result of international exchange the backward country recovers only - with the greatest difficulty - its spinning-wheel, while an advanced - a mighty automaton, a same reproduction of poverty and power takes place also in respect to the quality of the labor forces. Intensity of labor, in the sense that we in this case attach to that term, is the result of general economic, cultural, etc. conditions. In particular it is found in close dependence on the level of technological development. But it would be a mistake to think that a complete parallelism exists. Not to mention the fact that a high level of technology time and again leads to deskilling of labor forces, physical exhaustion of nations, proceeding in parallel with the economic "progress," leads to it that "often lower forms of labour are considered as more skilled" (Marx). Besides, in the view of Marx, very often the difference between complex and simple labor is based on illusions and prejudices. Thus, the height of economic development and the degree of intensification (qualification) of labor may, at least in some branches, be found in inverse proportion. If, nevertheless, an economically more developed country gets for this labor a compensation, as for more intensive labor, then this happens because the price level is determined by the size of the productivity of social labor, and labor productivity is a social total, with which the difference is discharged between the subjective and objective factors determining it. Therefore a country can, according to Marx, issue more productive labor, for more intensive. However, as we shall see later, this is not a specific property solely of international exchange, and is no violation of the laws of value. Intensity of labor not only depends on economic and technical conditions, but in turn has an influence on them. Construction of one or other machine is often adapted to the character of the labor force, serving this machine or laboring with its help. So, e.g., with the construction of textile machines the national peculiarities of labor are taken into account. For Russia spinning machines are build of lesser speed, adapted to less intensive labor of the Russian worker; for England, America, the speed of the spindle is higher. 7" Application of the Fordist assembly line is also in dependence on the national particular qualities of labor. "In every country there is a certain average intensity of labour below which the labour for the production of a commodity requires more than the socially necessary time, and therefore does not reckon as labour of normal quality. Only a degree of intensity above the national average affects, in a given country, the measure of value by the mere duration of the working-time. This is not the case on the universal market, whose integral parts are the individual countries. The average intensity of labour changes from country to country; here it is greater, there less. These national averages form a scale, whose unit of measure is the average unit of universal labour. The more intense national labour, therefore, as compared with the less intense, produces in the same time more value, which expresses itself in more money. .8"
The sole difference, which, actually, should be established, is the fact that each individual country represents itself an [i]integral part of the whole" in the world economy, whereas an individual worker in the national economy is only a negligibly-small fraction of the whole. Therefore the concept of "average national labor" from a statistical point of view represents itself a much more tangible reality, than the concept of "world average labor." In the first case we are dealing with an average, derived from huge amounts of facts, that with the law of large numbers the necessary reliability is provided. In the second case, the "average" is built on the basis of some units or some dozen of "national averages" and represents itself an elevated abstraction. Inside a country the "average" unites around itself a compact mass of labor, really homogeneous and equal in intensity, from which only on the "periphery" deviations are formed in either direction. "Average intensity" of world labor exists only as an average in an arithmetic sense, among the constituting component parts of which cannot be found either two approximately identical elements. Therefore it also is distributed on a ladder by steps. Such may be the considerations which encourage the drawing of a theoretical dividing line between national and international exchange. But inasmuch as we all the same introduce the concept of "average world labor" and operate with it, as with some reality, here come into force the same laws that apply also in a national scale. In fact: why in the frame of this "average," which brings weavers in Moscow and Petersburg together in the same group, should other laws operate, than in the world average, uniting Moscow and Lancashire. Here the difference is in degree, but not of essence. The third factor, causing unequal labor-exchange, is a difference in the labor productivity of different countries, inasmuch as they arise not from subjective, but from objective factors of production: natural and technical conditions. It is this situation which actually also carries the name of inequivalent exchange. It was, mainly, also what the classical school had in mind, though they confined themselves almost exclusively to the influence of natural conditions on productivity. Yes also Marx himself often distinguishes unequal labor-exchange which arises out of differences in objective conditions of production from inequality which occurs when there is a difference in intensity of labor, and tends, evidently, to read the first case as a violation of equivalence. So, in one place he says: "The law of value in its international application is yet more modified by the fact that on the world-market the more productive national labour reckons also as the more intense, so long as the more productive nation is not compelled by competition to lower the selling price of its commodities to the level of their value.9" In another place he refers to the consideration of Mill on foreign trade, with which he, apparently, fully agrees: "Say, in his notes to Ricardo’s book translated by Constancio, makes only one correct remark about foreign trade. Profit can also be made by cheating, one person gaining what the other loses. Loss and gain within a single country cancel each other out. But not so with trade between different countries. And even according to Ricardo’s theory, three days of labour of one country can be exchanged against one of another country—a point not noted by Say. Here the law of value undergoes essential modification. The relationship between labour days of different countries may be similar to that existing between skilled, complex labour and unskilled, simple labour within a country. In this case, the richer country exploits the poorer one, even where the latter gains by the exchange, as John Stuart Mill explains in his Some Unsettled Questions.10" Thus it is entirely clear that Marx considered unequal exchange a "modification" of the law of value in international trade. It seems to us that this view of Marx is not consistent with the understanding of the law of value, with which we are accustomed to operate precisely as with Marxist laws. Let's begin with some elementary considerations. What is value? - The amount of labor confined in a commodity. The category labor, forming value, we expose by a "chemical treatment" of every concrete, individual, accidental: we take into account labor, as abstract expenditure of the energy of muscles and nerves, as average labor, in the sense of average intensity, etc. But if the amount of this labor, expended in the production of two products is equal, then does it follow that also the value of these commodities is equal? No, it does not follow. For full equality of value, above equality of labor expenditure one more technical condition is necessary: the expended labor should be produced at average objective conditions of production, at average technology (we ignore here the exceptional, though also very important circumstance, when value is defined by worst (крайними) conditions of production). Only such labor will be socially-necessary labor. "The labour time socially necessary is that required to produce an use-value under the normal conditions of production (italics mine. I.D.) and with the average degree of skill and intensity prevalent at the time.11 Consequently, an equal amount of labor expended under different conditions of production in one and the same branch (one cannot directly compare technical, etc. conditions in different branches, because also the category of socially necessary labor time makes sense only in application to concrete branches of the economy, and not to society as a whole) - an equal amount of labor of the same intensity creates different value, comes in the market appraisal with a different mass, as if it were a different amount of labor or an equal amount of labor of different intensity. Conversely, a bad worker, working under the best objective conditions, and a good worker, working at worst conditions, can create a similar value, although the quality of their labor is deeply different. Technical and natural conditions are, thus, among the factors that determine the magnitude of value. It may seem, that we go astray here on the vulgar theory of productivity or the theory of "imputation" according to which the manufactured product must attributed not only to labor, but also to land, capital, etc. We are the farthest of all from these, if we are permitted to say, "theories." One must distinguish value of the whole product of a given sector, value created by a separate enterprise of this sector or by a separate individual in a defined labor time and, finally, value of commodity units. We call the second type of category of value the specific or partial value (удельной или частичной). Value of the whole product of a given sector, taken in the scale of the social whole, is equal to the sum of labor, confined in this sector, and only in it. It does not depend on any technological, or on any natural factors. The latter determine only what amount of labor society should expend in the given sphere of production, in order to get the necessary result. The value of the product of textile industry will be, for example, entirely the same, whether here is labored primarily by machines or manual spinning-wheels and tools, if only the amount of labor remains the same. Further: the value of commodity units likewise is equal to the amount of labor time, processed on them at the average of this industry. On technique, etc. this value depends only indirectly, inasmuch as technical factors determine what amount of products are developed in units of time. But the measure of value remains labor time and it alone. It's easily seen that the specific value of the production of each group of enterprises is proportional not with the expended labor in its group, but with the size of production, determined under otherwise similar conditions by natural and technical factors of production. In other words, the sum of specific values gives the value of the whole production of this branch, which is identical with the sum of labor spent in this branch and does not depend in any sense on technical conditions of production. Let productivity of labor in the first group of enterprises double, thanks to the introduction of new machines, etc. the reserves of production and the level of productivity also in the rest of the groups stays the same. Then the market value of commodity units will be (a+b+c+...l)/(2m+n+p+...r), and the specific value of the production of the first group 2m. (a+b+c+...l)/(2m+n+p+...r). Numerator increased times two, the denominator only by magnitude "m," which is in any case less than the expression "m+n+p+...r," that is, the denominator increased, but not times two, but in a lesser degree. Consequently, the specific value of the production of the first group increased, although the amount of spent on it labor remained unchanged. She would again have fallen to the previous magnitude, if productivity growth would have seized to the same extent all the remaining groups. The growth of the specific value of the first group does not increase, however, the general value of the production of the entire branch, it is done on account of a reduction of the specific values, produced by the remaining groups, which can be easily shown by the relevant calculations. Growth of specific value is determined by a coefficient, which represents itself the relation of the degrees of increase of productivity in a given group to the degrees of the decrease of market value of commodity units. All these patterns were a long time ago noted. On them are based all possible methods to extract surplus-profits in the competition struggle. If we introduce here instead of the terms surplus-profits, etc. the more general category of specific value, then only because similar phenomena are possible also in such economic system in which the category of profit, lacks, but market exchange is preserved. Thus, the objective factors of productivity can and must cause inequality of labor-exchange even when we are dealing with labor of the same quality, and this does not only not violate the laws of value, but on the contrary, entirely follows out of them. The concept of non-equivalence of exchange in application to such phenomena does not have any sense. Such "non-equivalence" wholly emerges from the inevitable and unavoidable fact, that a single market price and value opposes a multiplicity of costs of production in different enterprises (which does not disappear immediately also in organized economy). "If costs of production persist, then they persist with their inequality, and not with their equality." "By the very existence of market commerce price is determined, as a single - in given moment and in given time - magnitude for a multiplicity of economic subjects, whereas costs of production are multiple, so to say by order of the plurality of these economic subjects in the relativity of unity for their market price.13"
That which relates to agriculture, is also valid for all other domains of the economy. So, in industrial production, before the price of products of different branches lines up on the line of price of production, within each branch the formation occurs of the market value of the commodities, produced by different enterprises. "It is necessary - writes Marx, - to always distinguish the market-value — of which later — from the individual value of particular commodities produced by different producers. The individual value of some of these commodities will be below their market-value (that is, less labour time is required for their production than expressed in the market value) while that of others will exceed the market-value. On the one hand, market-value is to be viewed as the average value of commodities produced in a single sphere, and, on the other, as the individual value of the commodities produced under average conditions (emphasis mine. I.D.) of their respective sphere and forming the bulk of the products of that sphere. It is only in extraordinary combinations that commodities produced under the worst, or the most favourable, conditions regulate the market-value, which, in turn, forms the centre of fluctuation for market-prices. The latter, however, are the same for commodities of the same kind. If the ordinary demand is satisfied by the supply of commodities of average value, hence of a value midway between the two extremes, then the commodities whose individual value is below the market-value realise an extra surplus-value, or surplus-profit, while those, whose individual value exceeds the market-value, are unable to realise a portion of the surplus-value contained in them.15"
The difference between industry and agriculture consists only of the fact that there rent, i.e. additional profit, is mainly associated with natural conditions, here [in industry] - with technical [conditions]. It is, in the expression of Bogdanov, "rent of technical improvements." In conformity with this, rent in agriculture has a constant character, surplus-profit in industry - under free competition - a temporary character, inasmuch as we are talking about a given group of enterprises. However, this extra profit is kept also in industry constantly in the sense, that in every given moment in every sector there is a group of more productive enterprises, gaining more than normal profits, and another group, more backward, forced by the law of market value to receive less. From this point of view there is no difference between industry and agriculture. Some expressions in the above passage about differential rent give reason to think that Marx considered in such a way generated value as if unreal. He speaks of false social value, created on the market. But false in relation to what? False from the point of view of the "value" which will have to be counted in socialist society, i.e. those real labor expenditures, which the production of the given product cost, in given natural and technical conditions. Marx approaches, thus, the law of value with the perspective of another economic system - the socialist. But for the capitalist system these principles - do not hold. It operates according to the capitalist law of value, which inevitably assumes a single price of commodities, irrespective of the quantity of labor and under what conditions they are produced. There is not any positive basis to single out in this respect international exchange, where the same phenomenon allegedly acquires the character of a "non-equivalent" exchange. One needs only to put in place of the aforecited groups of enterprises countries or group of countries with homogeneous conditions of production in the given sector, and take the latter in the scale of world-economy as a whole, and the same relationship steps again in front of us, but only in a world scale. Marx himself compares in one place the position of a more productive country on the world market with the position of a manufacturer, using a new invention before it came into general use (Capital, Vol. III, 1, p. 218). Why did he then still consider exchange-trade on the world market to be unequal, arising from the unequal objective conditions of production, a modification of the law of value? It seems to us that the only explanation can be the fact, that Marx, speaking on international exchange, continues to operate exclusively with the concept of national value. From the point of view of national value, i.e. the value which forms the normal scale of market measure in a given country, exchange of unequal amounts of labor is really non-equivalent exchange, just as an entrepreneur, working with backward means of production, feels low market prices as "non-equivalent" compensation of the individual value, produced in his enterprise. But what is "non-equivalent" from the national point of view is quite equivalent in terms of world value, which must necessarily exist, once there exists a world market and world economy. This second category - world value - lacks in Marxist analysis; after all he in general addresses the question of external trade in passing, inasmuch as it is necessary for an abstract analysis of capitalist "society." But this society Marx takes always within the borders of a determined country, within the frame of defined territory. "Simple average labour, it is true, varies in character in different countries (my italics. I.D.) and at different cultural eras, but in a particular society it is given.16 It's clear that under the guise of "determined society" Marx understands society of defined countries and eras. What relates to the category of simple average labor, applies also to socially necessary labor time. This - is the labor time, necessary for the production of commodities in a given society, i.e. in a given country. Consequently, also the category of value is limited in Marx to the frame of national economy. True, he sometimes refers to "single average world labor" (in the chapter on national differences of wages), but he does not employ this unit systematically in the study of international exchange. So, modification of the law of value in international exchange is, from our point of view, only a modification of the national law of value. The world law of value by unequal exchange is not violated, but, on the contrary, finds in this inequality its implementation. Marx points out in one place, that an industrial country can issue on the world market more productive labor for more intensive labor only for as long as competition does not force it to reduce the price to the real value, and thereby restore the equivalence of the exchange. But if there would not be a decrease of prices, competition is powerless to equalize the conditions of production in different countries, which "persist in their unequalness." If the world price on a given commodity matches, for example, with the national price of the most productive country, which will be forced thus to sell commodities "at value," then the other countries producing the same product in less favorable conditions, will be forced to sell it below the individual - national value and inequality remains as before. Competition can never lead it that the national product of each country is sold on the world market at prices that coincide with its actual national value. It would be possible only under the absurd assumption, that commodities of the same kind have on the world market different prices determined by country origin and its national value. But in this situation the coincidence of world prices with national values would be bought at the expense of the declination of these prices from the uniform value of the world market. "It's as broad as it's long." Exploitation of some countries by others takes place under all circumstances - regardless of whether the products of more productive countries are sold at their real value or above value. The excess, which the country gets from foreign trade is usually referred to as super profit or surplus value. But from the point of view of the world market and world market value, this super-value is the usual value, born from laws of exchange economy. The theory, according to which obtained additional profit from international exchange without additional expenditure of labor is a perversion of the law of value, looks in appearance more revolutionary. In fact: one country exploits the other, violating the elementary law of the exchange of equivalents. It is - direct robbery and fraud. In order to stop exploitation, it is necessary to recover in full degree the law of value in international relations. But the whole course of our discussion leads to the point that exploitation happens not through a violation of the law of value in the international scale, but on the basis of this law, similar to how exploitation of labor force by the capitalist is founded on this same law, and not on fraud or trickery. What really is violated in international exchange, is the law, of "national value" - precisely because value acquires a more universal character, and on the world market it finds its natural completion. Of course, with this is not denied the presence of other forms of exploitation, based on true equivalence. Thus, when speaking of external commodity circulation, the double character of value should always be borne in mind, which here has an immeasurably greater significance than the dual character of value on the domestic market. An individual enterprise within the country makes up only a negligibly small fraction of the national economy, and here we have all the time the operation of statistical averages and the law of large numbers. On the world market each country is "an integral part of the whole," and quantity here is transformed into quality. World value carries here a slightly abstract character, if among with it is not taken into account national value, representing itself a direct reality (insofar as the "native economy" continues to exist, as domain, delimited from the world economy). On the other hand, it is necessary to constantly remember, that the analogy between the situation of highly productive enterprises inside a country and highly productive nations in the world economy does not eliminate the "small" difference, that nations cannot as quickly catch up and overtake each other, as this happens with individual enterprises. In this relation com. Bukharin is quite right, who in polemic with the German communist Boris wrote, "You need to have a truly crazy fantasy, in order to think that "today" one country, but tomorrow another would change places on the line of technical structure.17" Here are established relations of long-term inequality and exploitation, which by itself represents enough grounds for the allocation of international exchange into a particular subject of study of theoretical economy, just as is done with the theory of ground rent. All our considerations relate to the issue of comparative productivity of different countries in one and the same sphere of production. The question about equivalence of exchange is reduced in this case to the question about what amount of the universal equivalent - money - different countries get in exchange for their national labor, expended in the production of a given kind of commodity. But money in international trade, even more than in domestic, is an intermediary in the exchange of commodity for commodity, and in the end the question on equivalence of international exchange is reduced to the question about proportions, with which commodities of different kinds are exchanged for each other, though in modern commerce one and the same product serves most often as subject of both export and import simultaneously. In this consists an additional difficulty of analysis: there where different spheres of labor are compared with each other, the category of comparative productivity becomes irrational, is turned into an imaginary magnitude. It is absurd to try to invest concrete content into formulas, comparing productivity of the labor of industry and agriculture, of coal and textile branches, etc. Similarly also the concept of the type "objective conditions of production," "socially necessary labor time" etc. lose every content, when heterogeneous branches of labor are compared. In some sense the mutual relation between two or several countries, exchanging different kinds of products, is built on formulas, directly contrary to the formulas, expressing the relation of competition on the world market of countries, i.e. countries, producing for exchange one and the same product. There where the matter is about an homogeneous sphere of production, one country wins the more, the lower the productivity level of the other country. To the contrary, if countries act as the representatives of heterogeneous areas of production, each of them wins from exchange the more, the higher the level of productivity is of the other countries, because it gets in this case more products in exchange for its own, though also not a greater value. In the first case the struggle goes to elimination. The strongest competitor is committed to the full exclusion of the weaker, less productive. In the second case too there is a struggle for the proportion of the exchange (each side seeks to take more and to give less), but this struggle cannot put itself the goal of mutual elimination, inasmuch as both parties mutually cause their existence, as commodity-producers. In the first case the more productive country aims to make production impossible for other countries in the given sector, and to this end, renders pressure on prices, etc. In the second case, on the contrary, every party strives to such a proportion of exchange, where production of a product less advantageous qua local conditions would be entirely moved to the other party. This is, obviously, achieved the easier, the more labor of a foreign country in the form of its specific products can be obtained per unit of national labor. Thus, the exchange of products of a diverse kind has the characters of a struggle, and not an harmony of interests, but this struggle is not to destruction, but to subjugation and exploitation, a struggle for the "equivalent." In the first case the method of low prices is applied, "export dumping," etc. In the second case, by contrast, the course stays on the high prices. Typical examples of such policy are cases where a loan, provided by some country on the local monetary market, is conditioned by the obligation to spend it on the purchase of commodities of the local origin, which fleece at exorbitant prices. This is - the direct opposite of the system of export dumping, and moreover such a one that gets dominant significance in modern international relations. But, regardless of this opposition, both the competitive and "counterpartive" (контрагентная) struggle represent one and the same economic phenomena. Both one and the other express the aim to get a bigger amount of the others' labor (in the form of commodities or money) in exchange for a smaller number of one's own labor. And though between heterogeneous sectors one cannot "build a bridge" for direct comparison of productivity, such a comparison is fully feasible for different countries. One can compare coefficients of productivity of individual branches, and from them make a summary index. One can compare for this purpose the average organic composition of capital of different countries. One can, finally, if it is a matter of two sectors of production, absolutely linked each to their national territory, compare the rate of exchange of the products of these sectors to the product of a third sector, represented in both countries, and get a common measure for comparison. Thus our analysis, which is confined to one and the same sphere of labor, can easily be extended to all national economic units (целое). So, in terms of exchange proportions, established on the world market, the influence of objective factors of productivity wholly coincides (совпадает) with the influence of subjective factors. The inequality of labor-exchange, - whether it follows from dissimilar national quality of labor or from dissimilar natural and technical conditions, - are alike determined by the laws of world value. Nevertheless, there are good grounds upon which subjective factors of inequality should be principally differentiated from the objective. Under unequal exchange, following from objective conditions of production, one country really assigns itself the labor of another nation. The expended labor is similar, and at the same time a greater amount of labor is given for less. This is an obvious fact of exploitation, though it takes place without violation of the laws of value. The position can be formulated as follows: under different foreign conditions of productivity equal value (world value) is exchanged, not unequal amounts of labor. A lesser amount of labor exchanges for a greater amount. With a difference, following from unequal intensity of labor, equality is not violated, neither in respect to value, nor in respect to the amount of labor. Here are exchanged equal values ​​(again, from the perspective of world value). Here are exchanged also equal amounts of labor, if one provisionally converts more intensive labor into units of less intensive, or vice versa. An hour of labor is exchanged for two hours, because it really includes in itself a double amount of labor, compared with the hour of a less intensive worker. The relation of exploitation here at first hand lacks. But it must be constantly kept in mind that more intensive labor contains in itself, besides an amount, also the element of qualification, and a country has opportunity to rise above the level of other countries by the qualification of its labor to the extent that it is provided with advantageous conditions in the world market, arising from actual relations of exploitation. This notes also Bukharin in his polemic with Boris. In addition to different objective conditions of productivity ​​and intensity of labor, inasmuch as the matter is about international exchange, we have a further sense from the special viewpoint of capitalist economy. There where a country sells the products of its production at higher relative prices, thanks to technical or natural advantages, "the rate of profit rises, because labour which has not been paid as being of a higher quality is sold as such.18" With differences in intensity of labor this excess boosting the rate of profit disappears, because the more qualified or intensive labor force, is paid above average level. It needs however to be kept in mind, that value, created by more intense labor, is not found in any necessary relation to the salary, received by wage workers. Our proposed addition to the theory of international exchange (the inclusion of the category of world value) is the necessary logical culmination of the Marxist representation about value. As known, for the classics the law of value existed primarily as a law of exchange proportions. Only Marx enclosed in this category an internal content, independent of the quantitative proportions of exchange, gave it an independent existence. With this was resolved a very important theoretical problem. It turned out, for example, possible to give value expression to the whole national product. If this value was only an exchange proportion, then the expression "the value of social product" would sound meaningless. "The social total of exchange-values loses its nature of being exchange-value in the same degree as it becomes the total of exchange-values. A, B, C, D, E, F have exchange-value in so far as they are exchanged for each other. When they have been exchanged, they are then all products for their consumers, their purchasers. By exchanging hands they have ceased to be exchange-value. And thereby the wealth of society, which is composed of exchangeable values, has disappeared. The value of A is relative; it is its exchange relation to B, C, etc. A+B has less exchange-value, because its exchange-value now exists only in relation to C, D, E, F. But the total of A, B, C, D, E, F has no exchange-value at all, because it expresses no relation. The total of commodities is not exchanged for other commodities. Therefore the wealth of society, which consists of exchange-values, has no exchange-value and is consequently not wealth.20"
Ricardo, thus, undoubtedly contradicted himself, when he spoke about value of national product and about the influence on it of foreign trade. The contradiction is resolved only with the Marxist conception of value, as an independent category. But Marx operated primarily with the category of national value. Therefore in regard to international exchange, he was in the situation, in which Ricardo et al. were in regard to domestic exchange. On the world market exchange proportions exist. From this viewpoint the sum of the value of commodities, formed on the world market, represents such an imaginary magnitude, which value of national product was in the classics. Only the introduction into usage of the category of world value expels the representation about value, as an exchange proportion from its last refuge. This is fully in line with the words of Marx, that only on the world market the commodity deploys all its specific properties, and money receives its completion in the form of world money. The concept of "world value" is not a vacuous abstraction, but a perfectly tangible regulator of the world market. Once there exist world prices, once there is world money, then necessarily must exist also what is represented in money and prices: value. The category world value in modern economists operates very often unconsciously, in particular in representatives of the Austrian school, - when they are engaged in calculation and comparison of the national assets and national income of different countries. Such calculations get their meaning only from the fact that there exists a common unit of measurement - the unit of world value (no matter, whether expressed in rubles, dollars or pounds), and national income of each country, expressed with the help of this unit, is nothing other than specific value, created by the annual labor of the workers of this country, a determined fraction of the value of the entire world's annual product. So, when it is said, that the U. States, having around 6-7% of the population of the globe, creates an annual production, equal to 40% of world production, it is quite obvious, that this calculation is made with the help of world units. Otherwise no comparisons would be possible to make. In a national scale the labor of a 115-million population equals value created by this labor, and nothing more. Whereas the figure 40% shows a specific mass of the labor of these 115 million in the world economy. From it can be concluded, how many hours of non-American labor are equal to one hour of labor of an American worker. Such overwhelming preponderance cannot be explained, of course, only by superior intensity of American labor. A much greater role here play technical and natural factors of production, obviously involved in the determination of the specific (national) value of the U. States. Inclusion of the category of world value gives a clear answer to another question, in respect to which there is a lot of confusion. Is the value of the national product changed, when the amount of dead to living labor expended on its production remains unchanged, through improvement of natural and technical conditions and increase of productivity? With growth of national labor productivity the value of the national product, expressed in units of world value increases in proportion to the fraction, whose numerator will be the coefficient of growth of national labor productivity, and the denominator - the coefficient of received world price. This fraction is turned in units, or differently stated; both coefficients are equalized only, when the rise of productivity is distributed over the whole world economy and ceases to be considered, "as an extensive quantity." Inasmuch as foreign trade promotes growth of national labor productivity (concentration of production in most profitable industries, expanding the scale of production under the influence of the extension of the market, which entails an increase in productivity of every larger production units, etc. ), to that extent it contributes directly to an increase in the value of national product. Ricardo's opinion in this regard is undoubtedly erroneous. Although Dashkosvkij was expelled from the party in September (he was a member of the democratic centralism group, see his letter to Sapronov), the editors of PZM in the December issue of 1927 still published his review of 'Classes and masses in England in their attitude to foreign trade' (Классы и массы в Англии в их отношении к внешней торговле: к постановке вопроса, 191 p.), by political economist Ignaty Granat (of encyclopedia fame). Other reviews by Dashkovskij include Wilhelm Röpke's Die Konjunktur (1922) and John Hobson's Imperialism. There is a translation of his critique of Isaak Rubin's Essays. Some more information on his life and work here. http://libcom.org/forums/theory/forgotten-great-theoreticians-02042010?page=1#comment-396669 He made 500 scientific publications. In 1956 he was rehabilitated. He died in 1972. Besides the fact that he translated Roy Harrod's 'Towards a Dynamic Economics' there is nothing known about economic writings in this period. 3. Capital, Vol. 1, p. 618. 6. Marx u. Engels, Briefwechsel, vol. III, p. 90. 8. Capital, Vol. 1, p. 566. 9. Capital, Vol. I, p. 566. 10. Theories of Surplus-Value, Vol. III, p. 195-196. 11. Capital, v. I, p. 5-6. 12. The interplay which exists between the character of labor and the objective conditions of production in the sense of determining magnitude of value, can be established also between individual elements with the same objective conditions. Good machine with bad quality of raw materials, excellent equipment for farming with bad soil, etc. call forth fluctuation of the magnitude of specific value to one or another side under unchanged expenditure of labor forces. Pluses and minuses may also mutually equilibrate. So, for example, in separate branches of production, connected with organic processes (e.g., agricultural) the low technique of a backward country can be compensated by natural fertility of the soil. 14. Capital, vol. III, 2, p. 200-201. 15. Capital, vol. III, 1, p. 156-157. 17. (менялись местами по линии технической структуры) "Bolshevik," no. 5-6, June 1924, p. 19. 18. Capital, Vol. III, 1, p, 218. 19. However, some authors consider as unreal also the category of average labor, insofar as for the determination of this average magnitude it is first necessary to perform a leveling of technical and natural conditions of labor (see, for example, Lev [Leo von] Buch, Productivity and intensity of labor, value and price of commodities, p. 164.). This objection, however, concerns only practical difficulties of calculation and does not have principled significance. 20. Theories of Surplus Value, Vol. I, p. 205. 21. With this is explained the sharply increased fluctuation of profitability of agriculture in the process of expansion of world-economic ties. The fluctuation of harvest, which in conditions of a limited national market is compensated by internal fluctuation of grain prices, in conditions of the world market is not compensated in a sufficient degree. Value of the whole agricultural product, which in an "isolated country" remained a more or less constant magnitude, becomes a variable magnitude, when the national economy forms a component part of world economy.